The last thing that anyone wants to come home to is dirty living space. Your home should represent a clean, safe and comfortable space for you to start and end your busy days, and to relax when you have the time. Professional home cleaning services can make sure that your home is always in the condition you want it. With various rooms in your home all requiring in-depth cleaning processes, cleaning your entire home can become a large job. Missed cleaning steps and misused material can hurt your home and leave it less clean and safe then you would like. To ensure that you home is clean efficiently and effectively utilize professional home cleaning services. Mango Maids has years of experience cleaning homes across Western Canada. We are here to help with all you home cleaning concerns, questions and needs. Contact Mango Maids today to schedule a home cleaning consultation! There are several benefits associated with getting your home professionally clean. The first major benefits are that you don’t have to do it. Cleaning your home can take tons of time, be somewhat of a complicated process and even aggravate allergies. Your home can also hid its mess quite well. Having an experience professional clean crew inspects and clean your entire home ensures that all the relative mess and dirt is removed and you home is left absolutely spotless. You can trust all you professional home cleaning needs to Mango Maids! Bathrooms should represent the cleaning and relaxation centers of your home. Though unattended to bathrooms can quickly become the dirtiest rooms in the home. Hair, saliva, moisture mold, garbage and more can all act towards a dirt and even unsafe bathroom. Showers, tubs, surfaces, floors and all aspects of your bathrooms interior should be cleaned regularly. Contact Mango Maids with all your bathroom cleaning questions and needs. Our team can help to restore your bathroom after a major mess and work to continually keep your bathroom clean. Don’t let your kitchen become less than what it can be in your home due to the mess in the space. Unclean and messy kitchens can harbor bacteria and odors that are the space less than attractive for house guests and residents. Kitchens that are left to fester can even become unsafe for food preparation and eating. Don’t let the state of your kitchen begin to hurt your health and the enjoyment of your home Let the kitchen cleaning professional at Mango Maids remedy all you kitchen cleaning problems. We can completely clean every aspect of your kitchen to return it to a welcome and fun space in your home! Often times the bulk of the mess and bacteria on your home can lie on the floors and carpets. Carpets can soak in dust, dirt and spilled materials, which makes them very hard to clean. Seemingly clean tile or laminate floors can also have countless unseen spills, bacteria and more of the floor. Mango Maids offers professional floor and carpet cleaning services to all our clients. We use eco-friendly cleaning materials and professional carpet cleaning equipment to ensure that we safely remove all the soaked in mess. 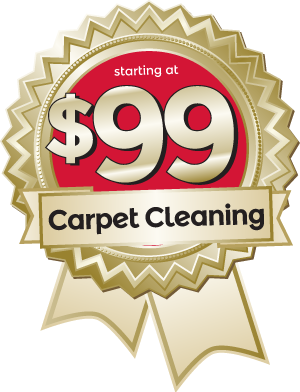 Call or email Mango Maids today with your carpet or flooring clean needs! It is important that the appliances in your home are not overlooked in your home cleaning process. Ovens, stoves, microwaves, washing machines, TVs and other appliances in your home can amass enormous amounts of dust, baked on food, spills and more. As these appliances become less and less sanitary they can actually become quite damaged and even dangerous to use. Don’t let the dirt on your appliances go unattended. The professional home cleaning team at Mango Maids can help to bring all your appliances back to a very crisp and clean state. Call Mango Maids with your appliance cleaning needs today! With various rooms in your home, all requiring in-depth cleaning processes, cleaning your entire home can become a large job. Missed cleaning steps and misused material can hurt your home and leave it less clean and safe then you would like. To ensure that you home is clean efficiently and effectively utilize professional home cleaning services. Mango Maids has years of experience cleaning homes across Western Canada. We are here to help with all you home cleaning concerns, questions, and needs. Contact Mango Maids today to schedule a home cleaning consultation! There are several benefits associated with getting your home professionally clean. The first major benefits are that you don’t have to do it. Cleaning your home can take tons of time, be somewhat of a complicated process and even aggravate allergies. Your home can also hide its mess quite well. Having an experience professional clean crew inspects and clean your entire home ensures that all the relative mess and dirt is removed and you home is left absolutely spotless. You can trust all you professional home cleaning needs to Mango Maids! Contact us today for professional residential home cleaning services – fill out your information below and one of our customer service representatives will be in touch with you shortly!